Ever now and then lush release a product that seems to be super popular and every one goes crazy for it! Add this to the product being a seasonal Oxford street exclusive and stock of the product being quite low and your left with a product that seems almost impossible to get your hands on. The Roller bath bomb was one of these such products. Released as an Lush Oxford Street store exclusive as part of the 2016 Mother’s Day range, this was the product every one wanted. Over the period of time this mysterious product was available I managed to make about four trips to the Oxford Street store and each and every time this bath bomb was non existent due to being sold out. This meant that I never got my hands on one of these bath bombs. Luckily after spending months of hunting I managed to pick my self one up on Ebay and couldn’t wait to finally get round to trying out this product. The Roller bath bomb is a brand new release for this year and is designed so that it is not just a bath bomb. 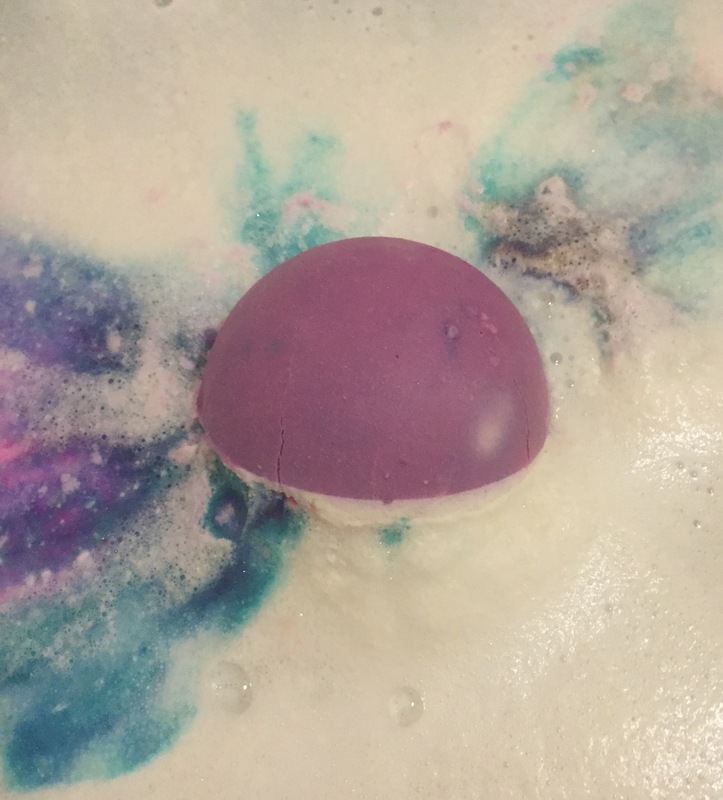 One side of the product is your average bath bomb and the other is a bath melt design creating a bath bomb / bath melt hybrid. The product has a very eye catching design with one side being a crisp white colour and the other being a soft purple. Scent wise I was very excited to find this product shared the same scent as the Mother’s Day shower gel/cream Yummy Mummy. This scent is meant to be strawberry but personally I feel like it is more of a generic berry scent mixed with notes of vanilla and a touch of floral. All together it creates a uplifting floral fruity scent. Which is more musky and warming than crisp and fresh like you would expect. Now the real exciting part of this product was when it was popped into the water. As soon as the Roller bath bomb hit the water the beauty of this product started to show. White foam instantly started to disperse from the bath bomb. As the bath bomb slowly spun around the water the purple bath melt part slowly dissolved releasing spirals of purple amongst the white. 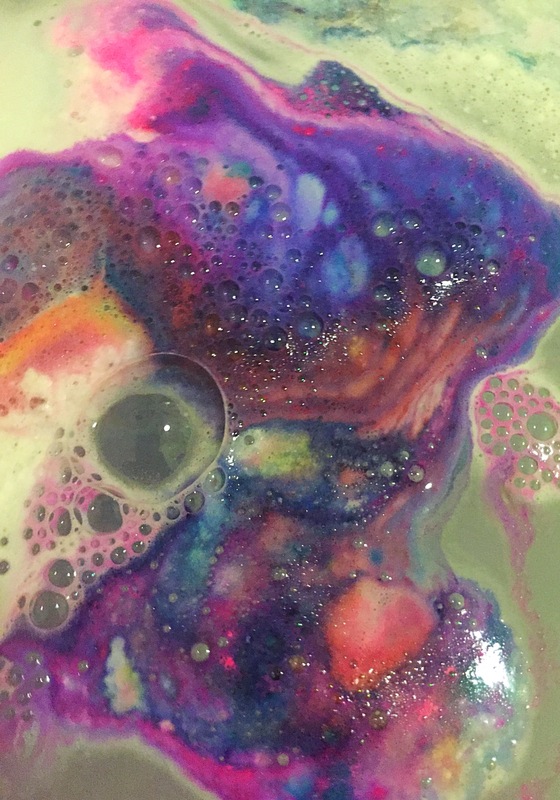 When the bath bomb reach its core streaks of vivid purple, blue and pink joined the mix making the both beautiful patterns on the surface of the water. 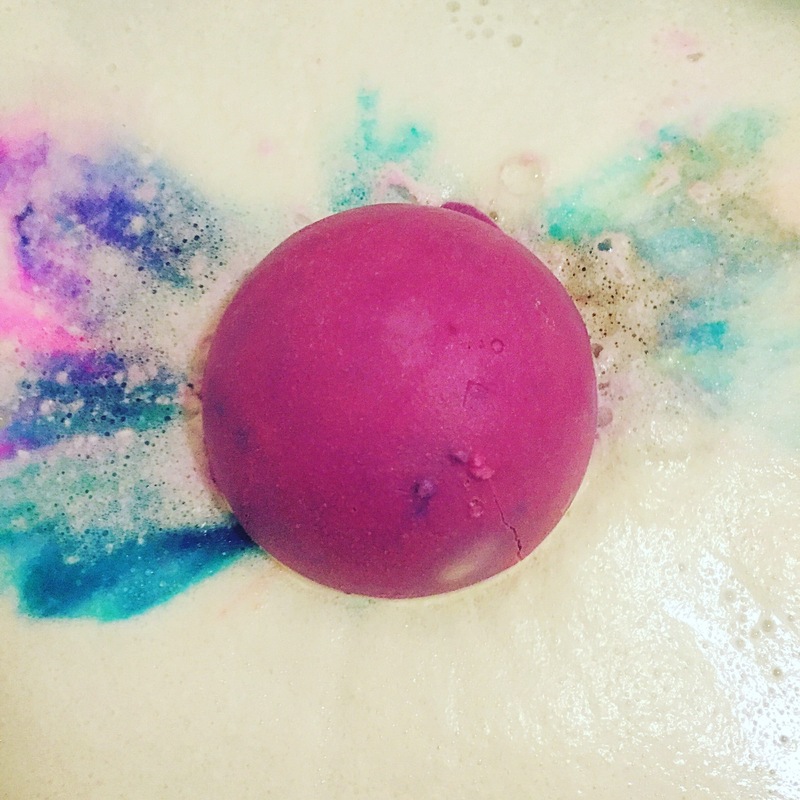 If you enjoy making bath art and love a product that puts on a show you will really enjoy this bath bomb and it is one of the most beautiful products when in the water. The inclusion of the bath melt section of this product makes the Roller hydrating and moisturising for the skin. I rather enjoy these hybrid product as I sometime find a full bath melt to be a little too greasy and oily for my skin. However there always seems to be just the right amount of moisturising properties when mixed with a bath bomb meaning the skin feels soft rather than oily. Overall I’m so happy I finally got my hands on one of these bath bombs. 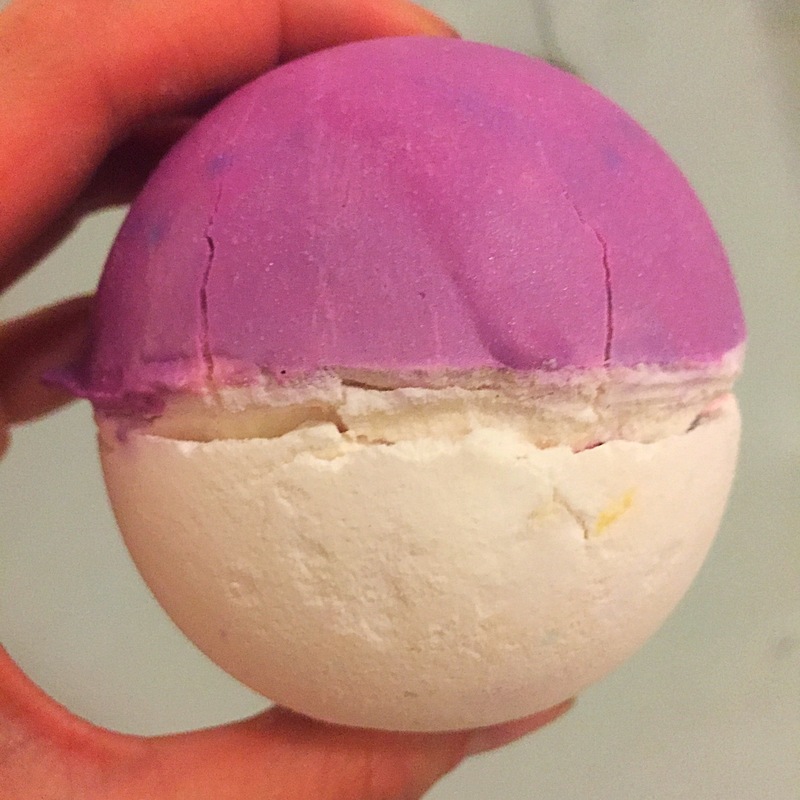 I really enjoyed using the lush Roller bath bomb and I’m hoping that next Mother’s Day it might be release into general sale making it a little easier to get a hold of.